The item numbers that we use to identify treatments are owned by the Australian Dental Association. The definitions of the item numbers are also decided by the Dental Association. This means that any restrictions that imposed by health funds are decided by the health fund not the dental association. At Seymour Dental we are contracted by any health fund but we do our best to anticipate any issues of claiming from the health fund. These include yearly limits, restrictions on when the next treatment can take place, frequency limits and treatment restrictions. This depends on the type of cover the patient takes out with the health fund. Each health fund is different. We advise our patients when they check the health fund for what they are covered for, to always obtain the person’s name, time & date of contact and where in the world they are! We have found that if there is any dispute then the health will need to abide by what they have said. So it’s important to check with the health fund what rebates you will get before starting treatment. The dentist cannot find out on your behalf due to privacy issues. The categories of item numbers follow with some common features and warnings that can arise with some health funds. Includes examinations and xrays, OPG. 011 is an initial full examination which involves charting of existing work as well as work to be done. This number can also be used if it has been two years since the last full examination. 012 is a regular examination that usually needs to be at least six months since the last examination otherwise it may not be claimable. 013 is an emergency examination which involves ascertaining any problems that are not known or scheduled. Some funds restrict rebating this number if it has been used within three months from a previous examination. 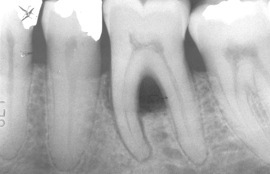 022 are small xrays inside the mouth. Bitewing xrays are taken with a holder that is bitten on to check for decay between the teeth and bone levels around the neck of the teeth. At examinations a left and right bitewing are taken regularly depending on the person’s decay and gum disease profile. 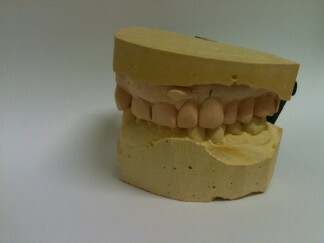 071 is a model of one jaw which is used for examination and planning purposes. Some funds only allow two models a year. 111 – Teeth are cleaned with a paste only – can claim only every six months. 114 – Removal of calculus (or tartar) on teeth by a scaler, which includes a cleaning paste- can be claimed only every six months. 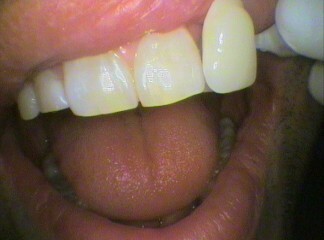 118 – External bleach – per tooth – in clinic bleaching. 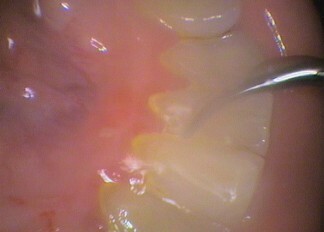 Usually 6 upper teeth and 6 lower teeth are treated in one visit. Not all health fund tables cover this item no. Some funds we have noticed only cover two teeth a year! So please check! 121 – Topical fluoride – usually funds only allow one every six months, however there are funds that only rebate one treatment a year. 141 – Tooth brush instructions – most funds rebate one a year, but some do not rebate it all. This category may have a 12 month waiting period when joining for the first time. Also if you are on a low level of cover you may not be covered at all. Upper and lower models = 071 x 2 Ultrasonic scaler - water on	 Teeth colour shade A2 after bleaching	 Tooth brush angles	 Deep grooves fissures in a molar tooth	 Bone loss between the roots on a lower molar tooth. This is in the furcation area.